This week marks the release of the The Pillars of the Earth adventure game. The story, based on Ken Follett’s epic novel, charts the building of a cathedral in the 12th century. An epic game requires some epic sounds, so when we were approached for the game voiceovers, we knew just who to ask! Published in 1989, The Pillars of the Earth has been a worldwide bestseller. It’s already been on our screens as a popular TV series and now it debuts as a hand-painted adventure game. As you can imagine, bringing the story to this format was no mean task. This video gives a sneak peek at the process - as well as some of the game voiceovers! At Voice Squad we’re no strangers to game voiceovers. Our Jared Zeus has written about working in the video game industry. Back in March our Nicolette McKenzie gave her personal account of voicing Teersa for Horizon Zero Dawn. Video game voiceovers are one of our biggest markets, growing year upon year. With over 2000 games companies in the UK and the introduction of virtual reality, it’s an industry providing more and more opportunities. As a result our artists have been lucky enough to work on some of the biggest upcoming game releases. The Pillars of the Earth features six of our artists. Chris Nelson, Amy McAllister, Terence Wilton, Laurence Kennedy, David Rintoul, and Glen McCready all lent their voices to the project. In total they recorded the game voiceovers for nearly 40 hours! However, the professionals had some voiceover competition. Author Ken Follett was asked to add his voice to the game as well! 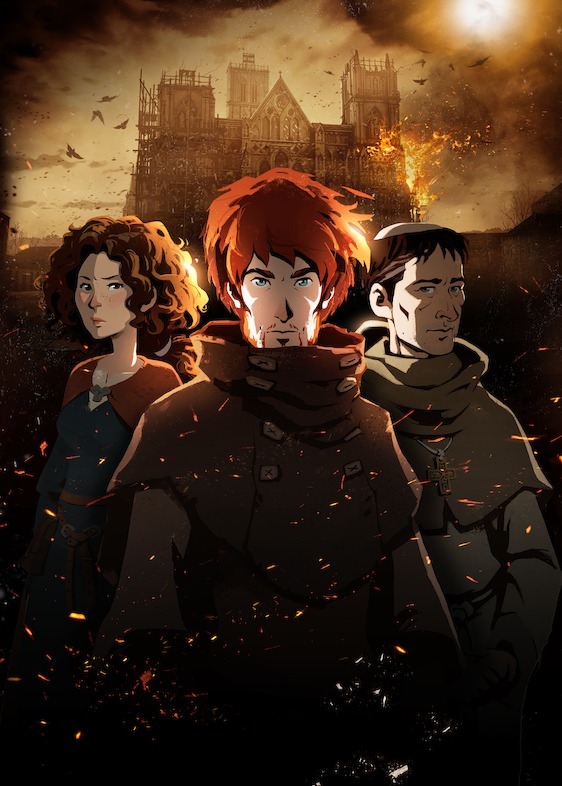 The Pillars of the Earth is available now in various gaming formats. You can watch the first trailer below. For more like this, see our article on Cars 3: Driven to Win’s trailer voice overs.